Dining out around Atlanta has long been one of my favorite things to do. I pretty much pride myself on my restaurant recommendations, and the only reason I've been able to build such an arsenal is by continuing to get outside of my neighborhood and try something new. 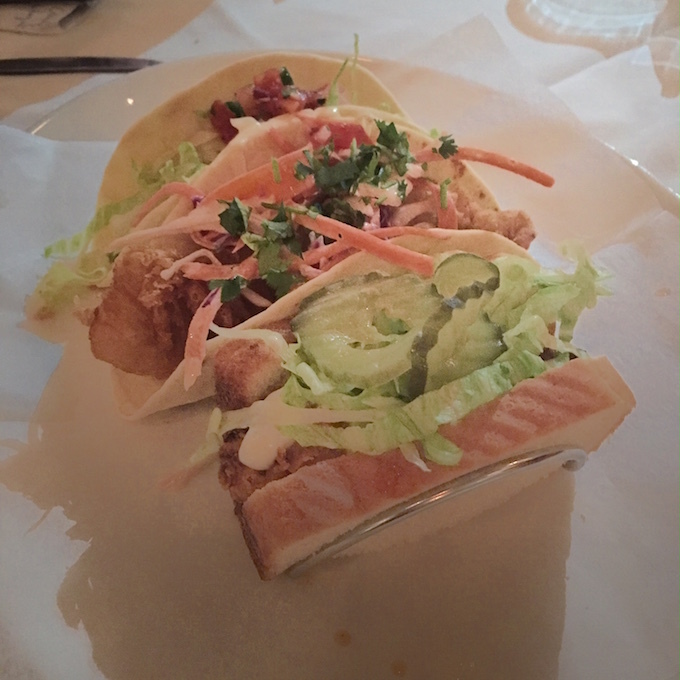 Recently, a few of my favorite foodies and I had a chance to give Taco Cowboy in Virginia Highland a go. Taco Cowboy is Chef Tom Catherall's latest concept. You might remember Chef Tom from his well-known Here to Serve restaurant group, and while that ship has sailed, Chef Tom is back to the Atlanta food scene and better than ever. Taco Cowboy marries creative Mexican street food with the freshest ingredients. 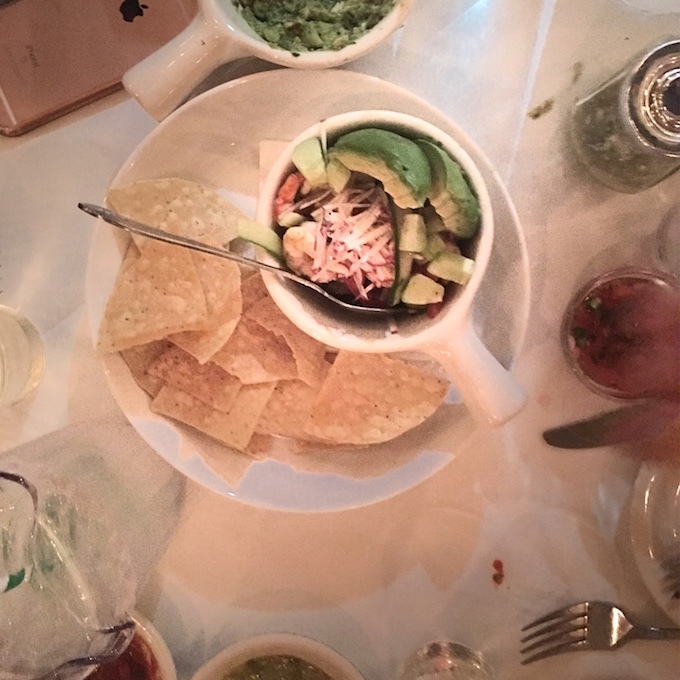 Items include things like ceviche, calamari, smokey salsa, a variety of tacos, small plates, and entrees. Innovative selections abound on the menu, but one of my personal favorites was the Nashville taco. Hot fried chicken with pickles, ranch, and lettuce served on white bread (not a tortilla)? My kind of taco right there. Tacos range from $4 - $8 with the priciest selection being the lobster taco. The main entrees are not to be glossed over. The Mexican skirt steak (aka. fajitas) came perfectly medium rare and the chipotle mashed potatoes paired with the Springer Mountain Farms chicken were spicy, fluffy, and flavorful. Those might have been my favorite item of the entire night. And the pumpkin bread pudding dessert?! Gooey, moist, and comforting. It's not to be missed, y'all. Of course no trip to a Mexican restaurant is complete without margaritas. Taco Cowboy's are made with award-winning and Georgia based Karma Tequila. Arriving in personal pitchers with a striped paper straw, these were a nice touch with an added bit of charm and a huge hit. Overall, Taco Cowboy has a lively atmosphere and quaint outdoor seating that left me wanting to return again and again; I'm already looking forward to my next visit. Margarita pitcher for one, please! I need to get over to this place asap! This looks amazing!